Weekly Schedule: Fairview Baptist Church, Chesapeake, Va.
Our Sunday School Program uses Regular Baptist Press curriculum. Services conducted at the church are usually 75 minutes in length. All classes, services, Bible studies, activities, and curricula use KJV. 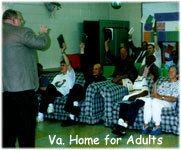 Virginia Home for Adults Services are conducted weekly. (1) Fabulous Fifth Sunday Fellowships are churchwide covered dish meals immediately following the Sunday Morning Worship Service on all "fifth Sundays" in the month. 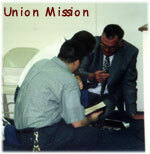 (2) Union Mission Services are conducted on the 2nd Thursday of each month. Also, 5th Thursday, if month has 5 Thursdays. Our schedules and activities change to meet the needs of the ministry.